There is a new fuel shortage many parts of Haiti this first week of April 2019. Men with drums of gasoline and diesel are beging to line up in the streets to sell at black market prices. 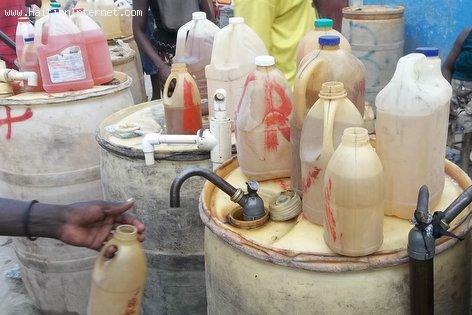 the National Association of distributors of petroleum products (ANADIPP) sais Tuesday a cargo of diesel is currently being unloaded and that for several days, a boat filled with gasoline is in the harbor from Port-au-Prince without being able to dock, according to Le Nouvelliste. Are we about to live another fuel shortage in Haiti?